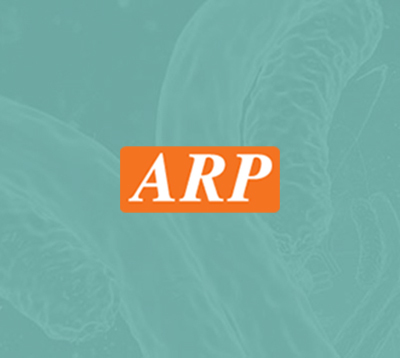 RGS16, 1-202aa, Human, 01-1796-16 | ARP American Research Products, Inc.
RGS16, also known as regulator of G-protein signaling 16, belongs to 'regulator of G protein signaling' family and negatively regulates G protein coupled receptor signalling. This protein inhibits signal transduction by increasing the GTPase activity of G protein alpha subunits, thereby driving them into their inactive GDP bound form. It also may play a role in regulating the kinetics of signaling in the phototransduction cascade. Recombinant RGS16 protein was expressed in E.coli and purified by using conventional chromatography techniques. 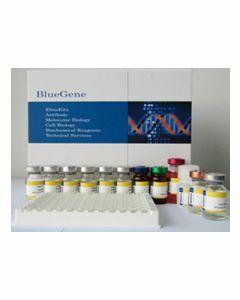 A28-RGS14, A28-RGS14P, RGS-R, Regulator of G-protein signaling 16 A28 RGS14, A28 RGS14P, HGNC:9997, Regulator of G protein signaling 16, Retinally abundant regulator of G protein signaling, RGS 16 RGS R, Rgs14, RGSR. 25.1 kDa (224aa), confirmed by MALDI-TOF.